I&apos;m a thirty-three year old man who love many things like Music, Books, Information Technology and Computer Science. I&apos;m a Debian GNU/Linux user and you ? Good night citizen of the #fediverse I&apos;m going to take a nap. Tonight I&apos;m translating in Italian the talk done by Richard Matthew Stallman at the university of Catania just some years ago, I&apos;m using a big dictionary and GNU #Emacs. #HappyHacking but only if you are an ethical one. "If you fight you can lose, but if you don&apos;t fight you have already lose." The Debian developers and maintainers have to keep the software in the stable release in a working state even when it has become old IMHO. I&apos;m looking the sixty English lesson of the youtuber Mr Duncan using Minitube and Debian 9 codename Stretch. Debian is better without non-free software, instead to teach to the users how to install non-free software they would do a better service to the community if they teach to the users how to avoid proprietary software. Luckily there are the endorsed FSF distributions, I like either Trisquel, PureOS and Gnewsense because they are based on Debian, but even Hiperbola and Parabola seems pretty good. The Bash&apos;s command ls -1 | wc -l gives you the number of files that are inside the directory. Happy Hacking!! 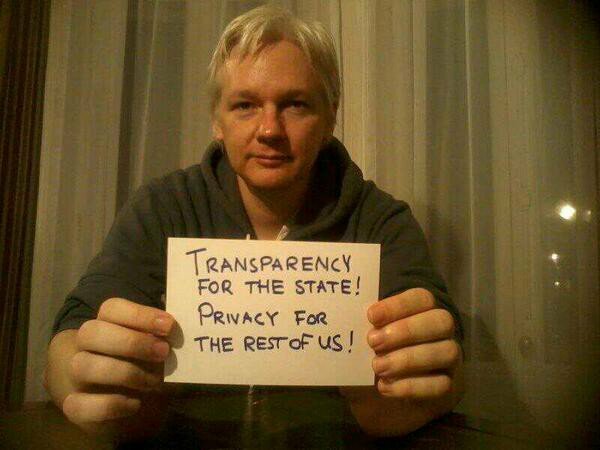 Who believe in democracy and freedom of speak must stand for Julian Assange!! Life is truly hard in south Italy, but I don&apos;t give up, because I love computer science and free software too. I love the idea of #Ethical #Hacking I only need to find someone near me who love that too. My dream is to found an Ethical Hacking Team in south Italy (which is where I live ) and join in the development of some free software... I just to say: I can do it! I can do it! Or am i just dreaming ? hacker There is nothing here!